Did you miss Sweden's Speed Weekend On Ice last month? So did we, but photographer Lars Mårtensson was there and he got an absolutely incredible gallery of the ridiculous machines driving, skating, and rocket-boosting their way across this frozen lake. 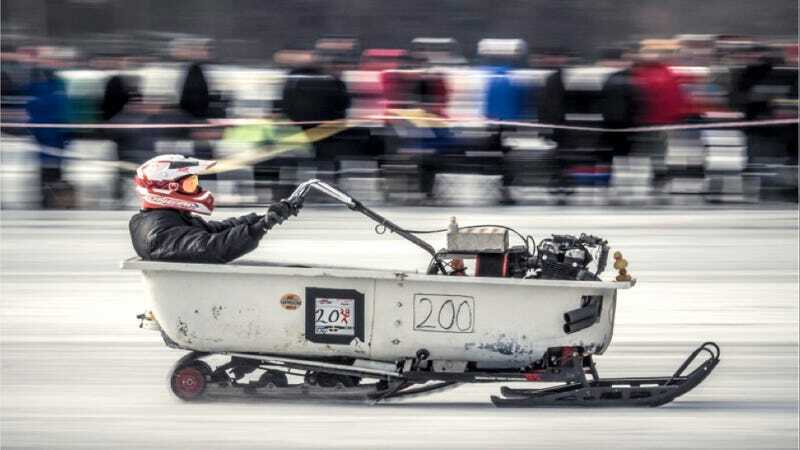 Speed Weekend On Ice is an annual event sanctioned by Land Racing Sweden. There's a course for flat-out straight-ahead record-chasing speed and another with a few turns. 40 classes of vehicles from mopeds to jets are welcome, here are a few of the nuttiest that showed up this year. To see the rest, check out Lars' entire gallery (with way more photos) here at griddd.se!